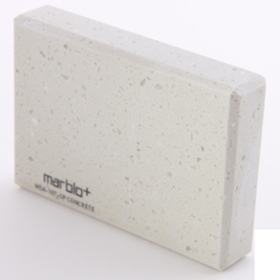 A polymer-based hybrid ‘Solid Surface material’ invented in 1979, Marblo was originally created to provide new levels of performance in laboratory and kitchen bench top applications. Today their products are used in a myriad of residential, commercial, retail and hospitality environments. At the launch of Marblo materials, their maxim was and to this day remains, “Freedom of Imagination”. By way of on-going research and product development, day-by-day Marblo are coming closer to attaining this aim.